We all know that the Penguin algorithm treats pages on a site individually than the entire site. This means that if you do a mistake on a single page it will not impact the entire website. But, it is best to avoid making mistakes that can decrease the ranking of a page. In this post, I will cover the top 6 tips which you could do on your website to improve its ranking. Google bot is smart but what if we could help it to be smarter? Structured data are derived from Schema. They are additional code that you need to put on your website to help Google bot to understand better the meaning your page. Plain HTML is difficult for a bot to determine the meaning of the code. For example: if you own a job posting website, it might take a long time for Google to understand where you have clearly mentioned the salary of a given vacancy but with structured data, you can easily indicate Google bot that this section has the salary. In the example below, we have highlighted the currency and the salary of a given job. If your mobile website loads faster by 1%, you will receive a 27% increase in conversion based upon Soasta report. You can also view your website speed load through Google analytics. However, we prefer using services such as New Relic . Website speed load can have a huge impact on your site ranking, one thing Google hates the most is slow load website. A website that loads slow, has a high bounce rate. You could use PageSpeed Insights to measure the speed of your website. With Semrush you can find out new opportunities that will help your site increase traffic and conversion. Semrush analyses your website and compares it with competitors and finds out what is missing on your site. In addition, it will help you finding out new keyword ideas, landing pages and as well provide you with an audit. Semrush provides many other features. We use Semrush to compare our site position against competitors and as well to find out new opportunities. Yes, Google is the most popular search engines, but this does not mean you should forget about Bing. When you submit your website to Bing, it gets submitted to Yahoo as well! This is great! Your pages will be listed on two high traffic search engines! Registering your website with Bing is extremely easy. Google considers linking an important factor, if spammy websites are linking to your site this has a negative impact on your site ranking. By submitting the spamming website linking to your site to Google, you will inform Googles engine not to assess them on ranking your site. You can submit an entire domain or a single link. There are many more important tips, but we have seen implementing these 6 tips will result in better organic traffic. 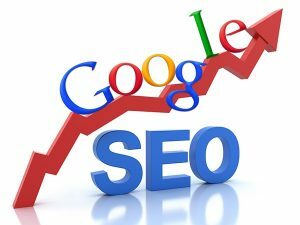 Leave a comment if you have any SEO problems or need more tips.